This Chloe design is a spectacular engagement ring with a halo of 20 diamonds around the round centre stone and 30 side diamonds three quarter of the way. 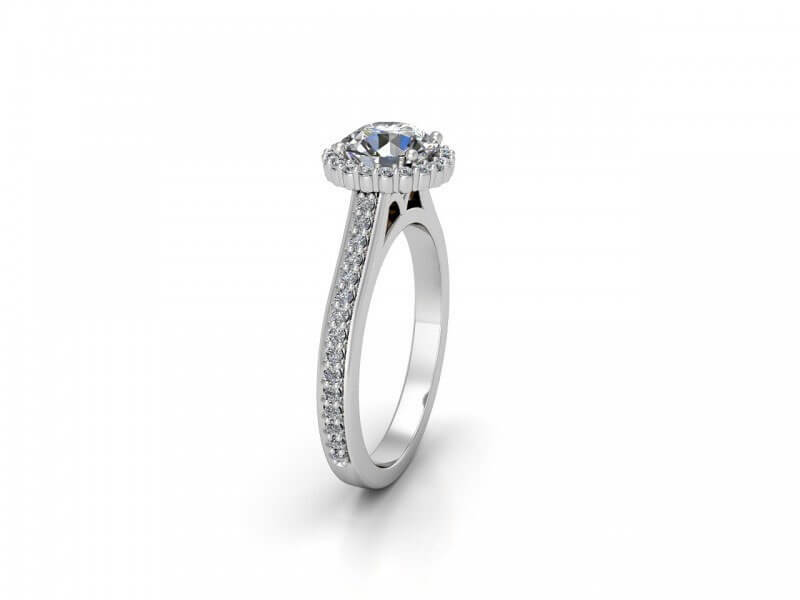 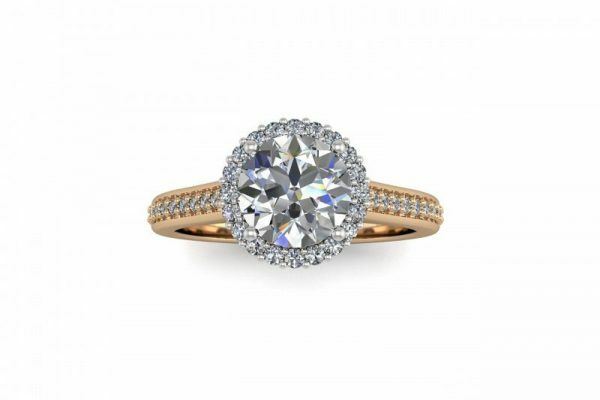 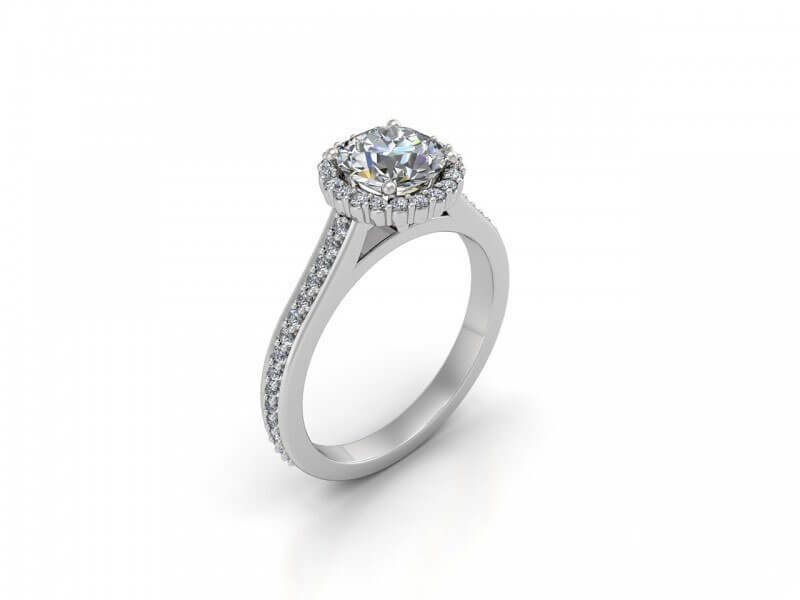 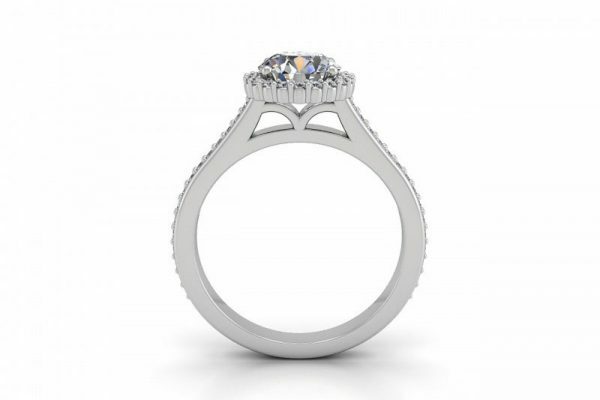 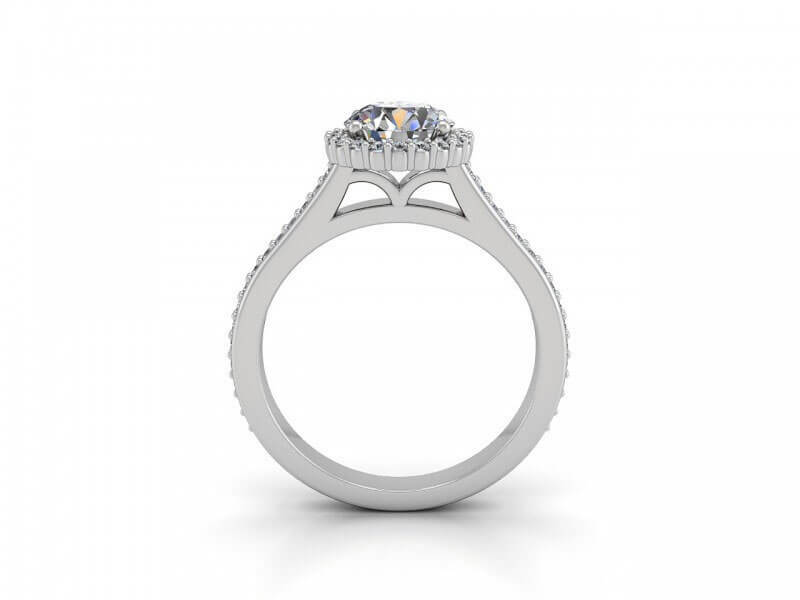 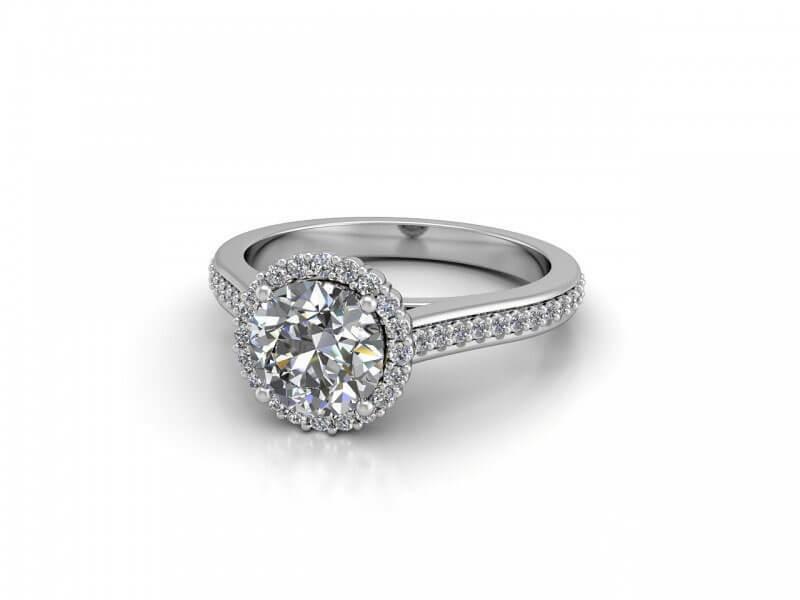 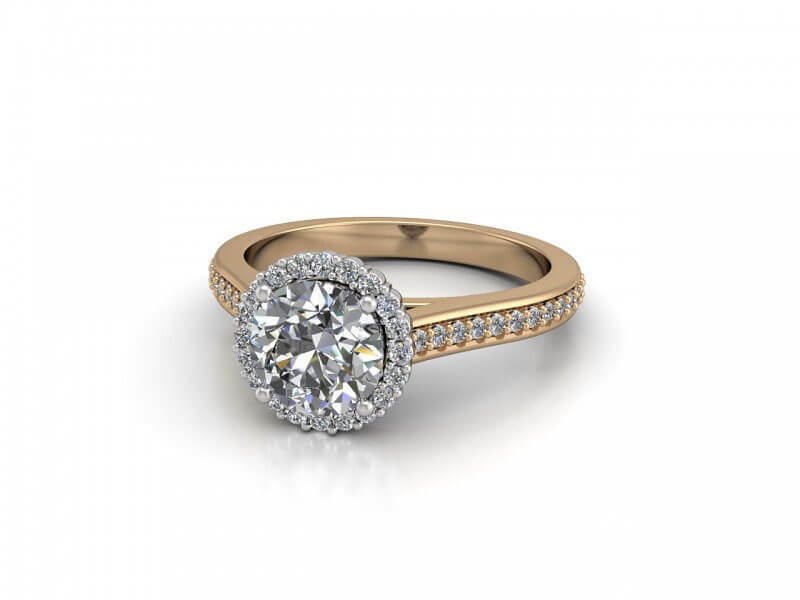 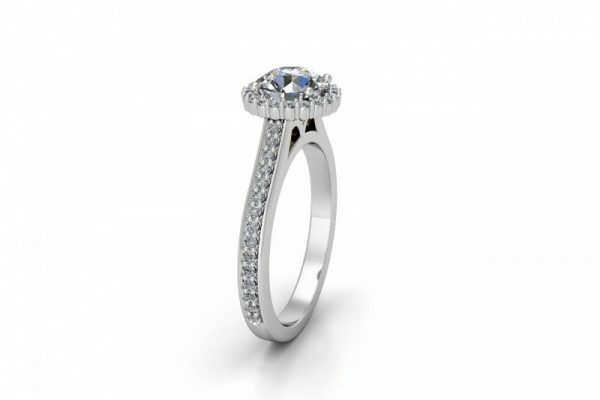 Custom made to any combination of white, yellow, rose gold or platinum and set with a GIA certified centre round brilliant cut diamond from 050ct to 2.00ct . 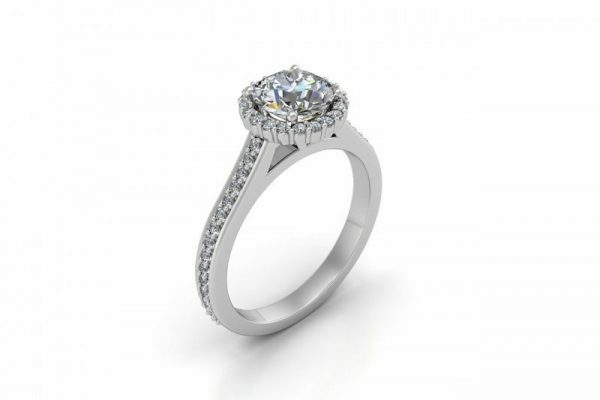 It can also be made with a coloured centre stone of your choice.